The Joint Development and Production Contract were signed between the Undersecretariat for Defense Industries (SSM) and TAI in 2007, procurement of 50 T129 “Atak” helicopters in Phase-1 and Phase-2 configurations and the activities to this end were launched. The contract that was signed on 7th of September 2007, became effective on 2nd June 2008 and the System Requirement Review of the helicopter in question was completed in January 2009. In 2010, within the context of Turkey’s urgent attack helicopter requirements, in addition to the 50-lot package in the basic configuration, 9 T129 Early Delivery Helicopters were added to the contract and the total number of helicopters to be delivered reached 59. Following the integration and installation activities of the “P6” prototype, which is one of the three prototypes to be manufactured at TAI facilities and utilized in flight tests, as the prototype became ready for flight, the maiden flight of the T129-A configuration was accomplished on 17th of August 2011. In 2010, first of the T129 EDH (Early Delivery Helicopter) or the helicopters identified as T-129-A Configurations planned to be procured as part of the urgent requirements, to be delivered in three (3+3+3) packages, were delivered to the Land Forces Command on 22rd April 2014 following the acceptance tests. The remaining 2 helicopters of this package were delivered at a ceremony organized at TAI in June 2014 and the final EDH Helicopter of the fleet was included in the Land Forces Inventory on 31st of July 2015. Upon the delivery of the Early Delivery Helicopters, the activities concerning the 29-lot package in T129 Phase-1 configuration and 21-lot package in Phase-2 configuration were ramped up at TAI facilities. 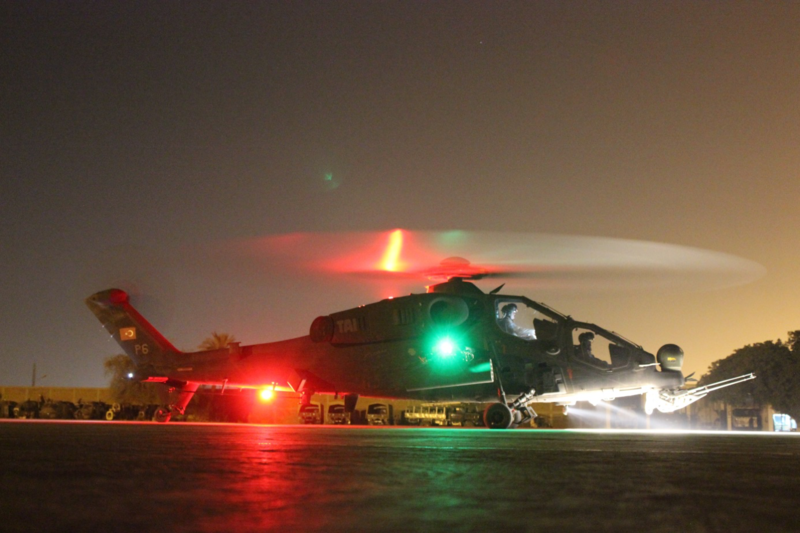 While the first helicopter in Phase-1 configuration, equipped with additional capabilities such as the Missile Warning System, Counter Measure Launcher System, Infrared Counter Measure System, MXF-484 and 9651 Handheld Radios and unique missile systems, was delivered to the Land Forces Command by the end of the last quarter of 2015, the number of helicopters delivered in Phase-1 configuration reached 9 in December 2016. It was announced that 25 T129 “Atak”Helicopter (16 helicopters in Phase-1 configuration and 9 Early Delivery Helicopter), were delivered to Land Forces Command as of October 2017 and over 11000 flight hours were accumulated as they are providing the required firepower and helicopter support in operational theatre. 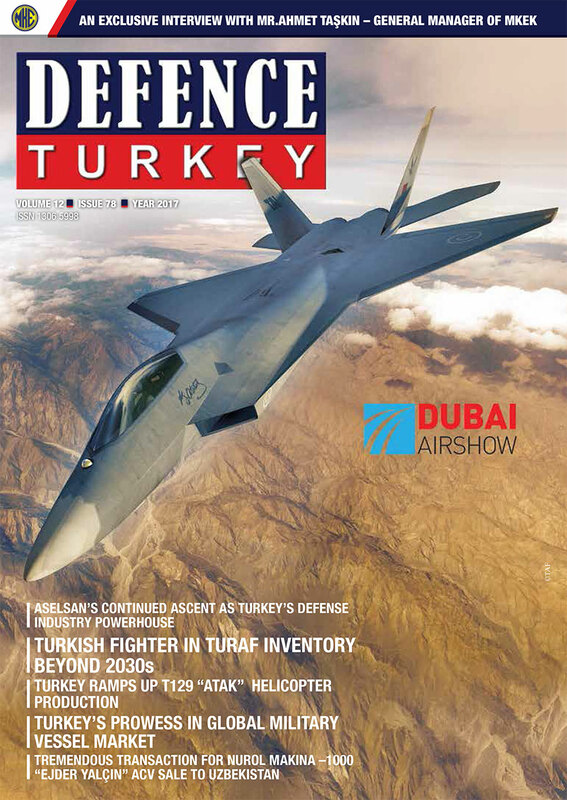 In his interview published in our magazine in July 2017, Head of the Helicopters Department of SSM Mr. Hüseyin Avşar conveyed crucial information regarding the program. Mr. Avşar disclosed that with the EDH helicopters, the number of delivered helicopters will be 24 in the third quarter of 2017 and currently they were making an effort to ramp up activities to increase the number of deliveries to two in a month from an average of one helicopter per month. 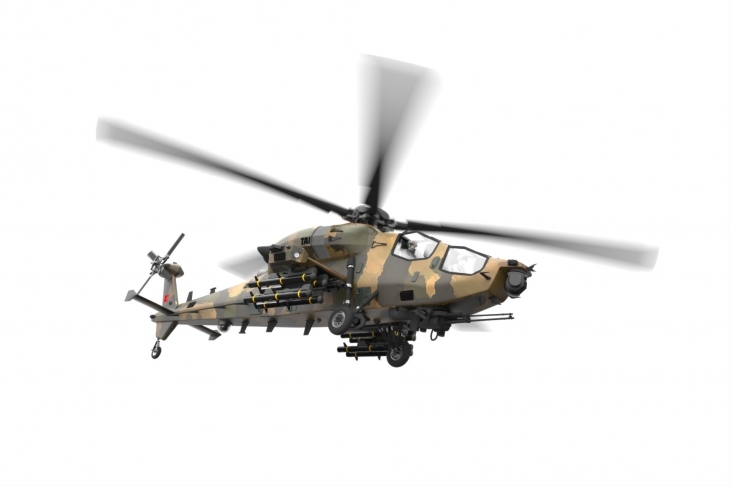 Moreover, Mr. Avşar said, “We expect the total number of helicopters to reach at least 29 helicopters (9 EDH and 20 Phase-1 configurations) by the end of this year. In light of these developments, it is recorded that the number of helicopters in the mass production line at TAI facilities reached 20 as of October 2017. As the delivery of the entire 29-lot package in Phase-1 Configuration is expected to be accomplished by the first half of 2018, delivery of the 21-lot package in Phase-2 configuration, which will be equipped with additional Electronic Warfare systems such as Laser Warning Receiver, Radio Frequency Jammer, Radar Warning System, 9681 V/UHF Radio, is planned to be launched upon the completion of the deliveries of Phase-1 configurations. In accordance with the project schedule, the number of delivered helicopters in Phase-1 and Phase-2 configurations including EDH Helicopters is expected to exceed 50 by the end of 2018. Delivery of the entire 59-lot package in EDH, Phase-1 and Phase-2 configurations is planned to be completed in 2019. 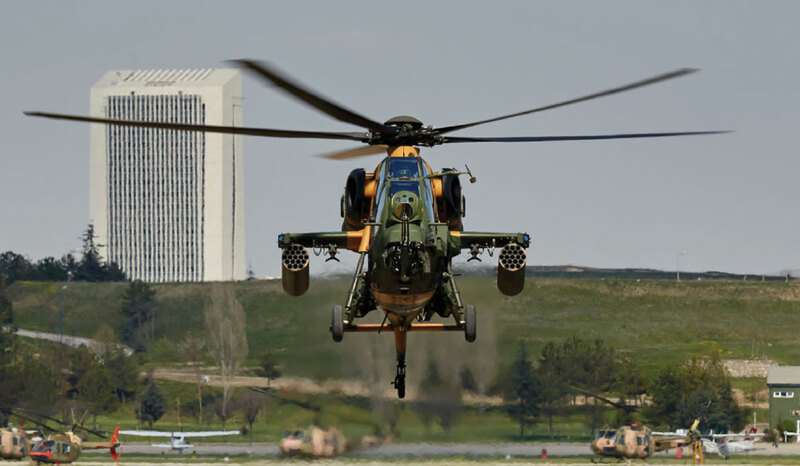 The project schedule of the 9 (6+3 optional) T129 “Atak” helicopters, which are planned to be procured as part of the requirements of the Ministry of Interior, is proceeding simultaneously under the responsibility of the Undersecretariat for Defense Industries. While the configurations of the platforms to be procured by the Ministry of Interior are expected to be equipped with the identical capabilities of the existing configurations, the air-to-ground image transfer system is planned to be fitted in this configuration merely as part of the user requirements. 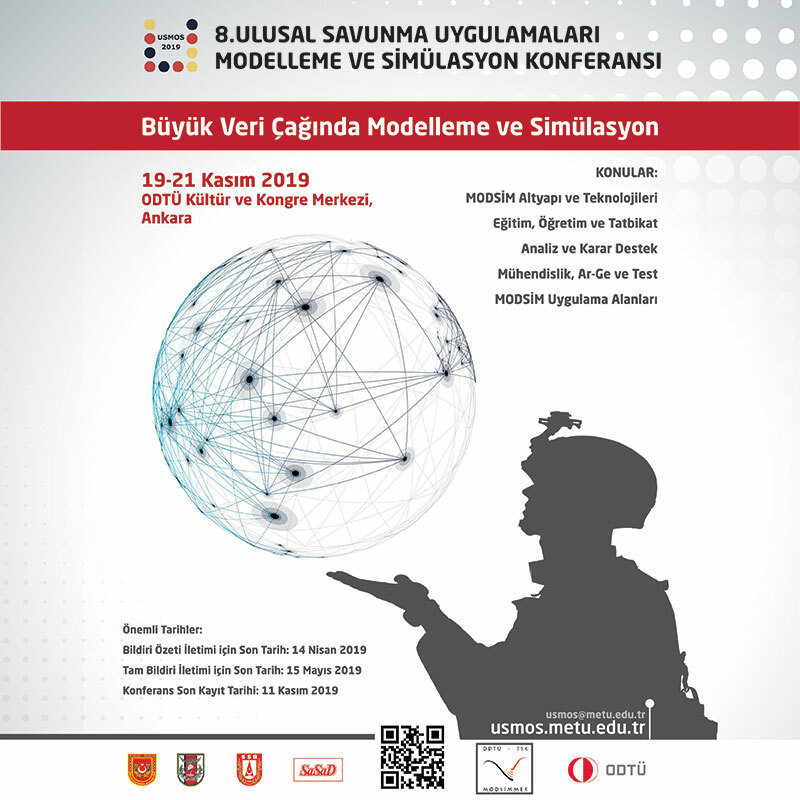 The activities for the indigenization of the critical systems as part of the T129 “Atak” Helicopter mass production program are being conducted simultaneously. While the integration of the “Cirit”, UMTAS and LUMTAS missile systems uniquely developed and manufactured by Roketsan is accomplished and the missile systems’ utilization has started, the indigenization activities of the Turreted Gun procured from abroad are on-going in the charge of TAI. Additionally, the development activities of the TS 1400 Turboshaft Engine was initially launched to be utilized by the T625 Multi-Role Helicopter and then the derivative configurations were decided to be outfitted by the T129 “Atak” Helicopters in the following stages, these are being conducted at TEI facilities. Within the scope of the program, a contract was signed in February 2017 between SSM and TEI and the program was officially launched. An important milestone within the scope of the indigenization activities concerning the fire control radar which is a crucial power factor of the attack helicopters and which will acquire a critical capability to the T129 “Atak” Helicopters was accomplished. The acceptance of the Helicopter - MILDAR which was developed by Meteksan Defense, featuring Target Acquisition and Surveillance and Terrain Profiling characteristics, Turkey’s first fire control radar operating at millimeter wave band was accomplished by the Undersecretariat for Defense Industries’ Acceptance Delegation on 23rd June 2017. The Helicopter - MILDAR is expected to enable critical operational advantages to the Turkish Armed Forces such as demonstrating high performance under harsh weather conditions in which the performance of the electro-optical systems insufficient, gaining electro-optical systems in aiming at their targets and in weapon engagement, raising position awareness of the pilot under low altitude and low visibility operations. Helicopter - MILDAR with two primary functions such as Target Acquisition and Surveillance and Terrain profiling enables crucial advantages such as multiple target acquisition in high angular and range resolution, target acquisition and surveillance in slow scanning mode up to a 12-km range, navigation support and terrain profiling at a 2.5 km range. For Helicopter – MILDAR, the flight tests of which were completed over the T129 “Atak” Helicopter, the radar’s position on the platform is aimed to be clarified and its integration activities with the weapon systems are planned to be launched in the following stage. Upon the completion of these activities, the serial production of the Helicopter - MILDAR fire control radar will be launched.